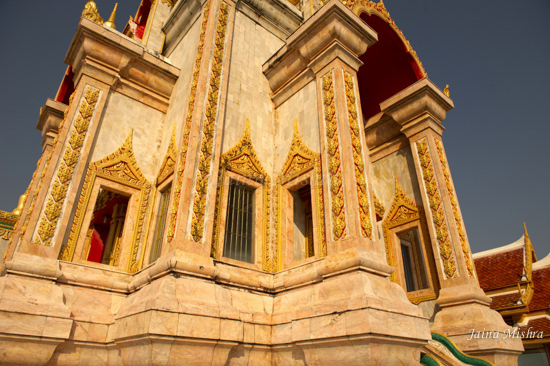 This important Buddhist temple in Phuket became far more important when a relic of Gautam Buddha – a bone fragment – was installed in the temple in 2009. 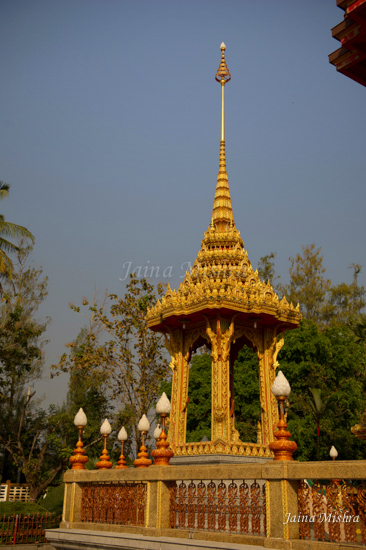 On the 80th birthday of Thailand’s King, the government of Sri Lanka presented this relic to Thailand. It is kept safely in a glass enclosure in the tower of the building shown above. 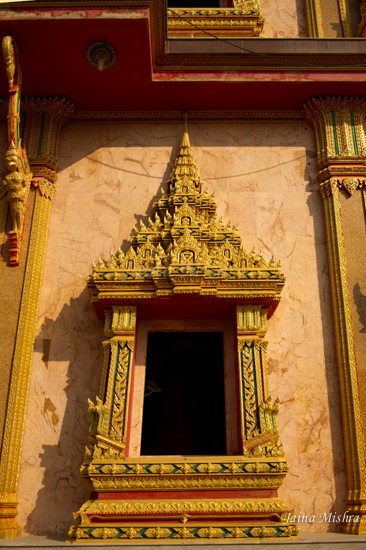 But in addition to this religious significance, the temple architecture is also beautiful. 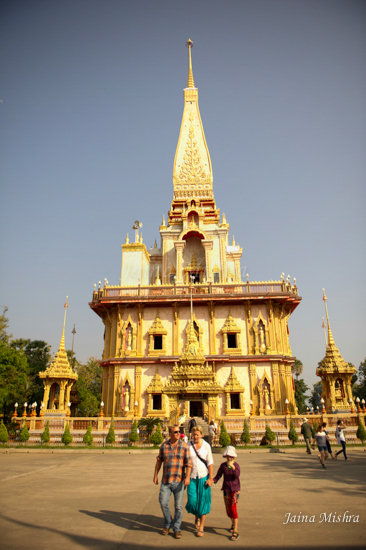 The stupas or the Chedi are covered in gold leaf! 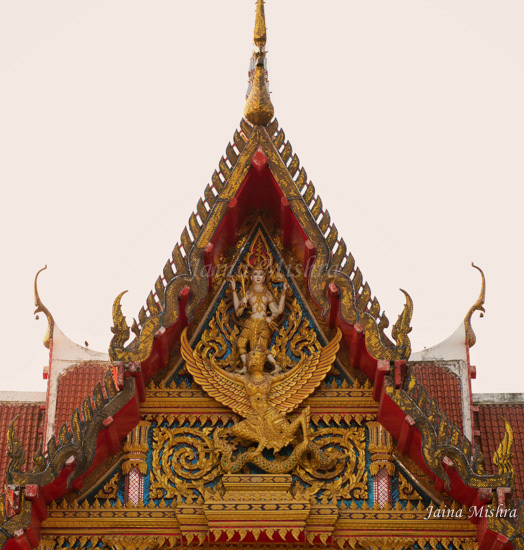 And the art almost always includes the unique Naga(serpent) and the Garuda (eagle) form. 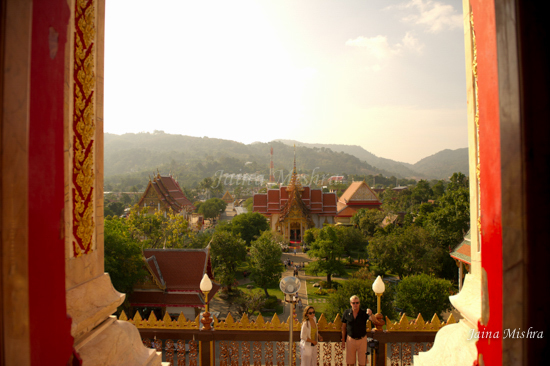 Thai Buddhist temples are a delight for the eyes and if one is spiritual also a haven of peace. 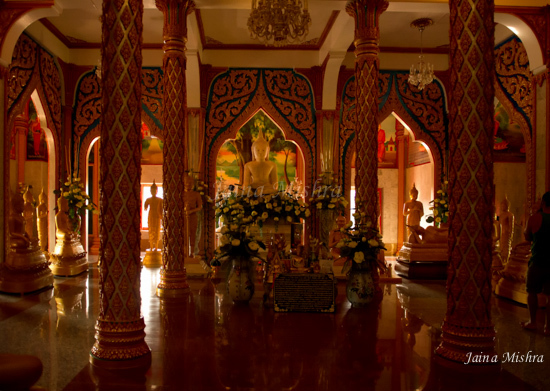 The large halls, the cool air within, the silence, the darkness create an atmosphere of refuge from the outside world in which one can sit and look inward and meditate. 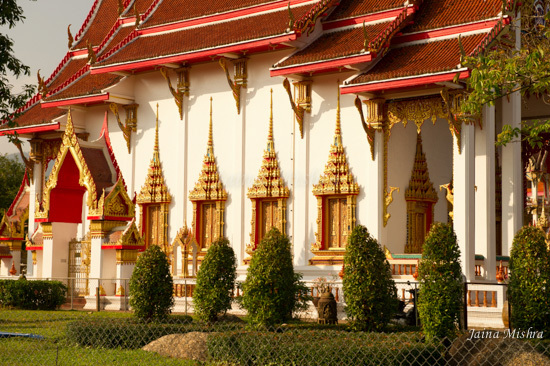 The presence of such an important relic probably make this one of the most important Buddhist temples in the world. But I saw no security, no cameras, no protection against thieves. 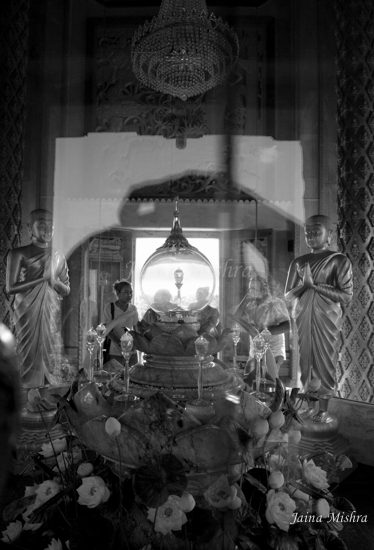 When asked about this, my guide told me that this relic would be valuable only to a Buddhist – and NO Buddhist would ever do commit a theft of such magnitude and hence there is no concern about the safety. In the dark world we live in, her answer offered a glimpse of purity and goodness shining quietly in the distance. 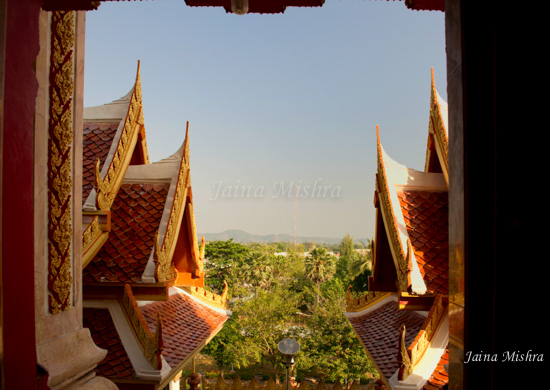 This entry was posted on February 12, 2015 by wovensouls in Art Kaleidoscope, Culture Kaleidoscope and tagged Buddhism, Phuket Buddhist temple, Phuket sights, Phuket travel, Phuket Wat, relic, Thai Buddhist temple, Thai temple, Thailand wat, Wat Chalong.